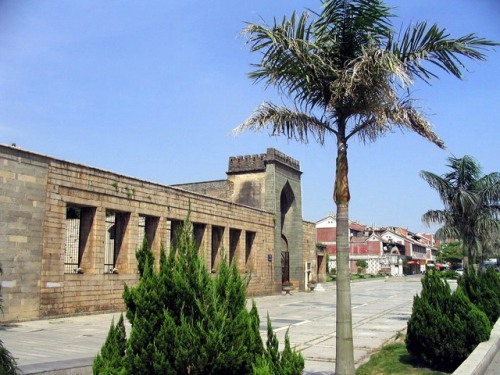 Located in Tumen Street, Licheng District, Quanzhou City, Fujian Province, Qingjing Mosque (清净寺) is the oldest mosque in China featuring the Arabic architectural style. Qingjing Mosque was built in 1009 of the Northern Song Dynasty and rebuilt in 1309 by Ahmed from Iran. The main surviving structures include Xuanli Pagoda, Fengtian Altar and Mingshang Hall. Damen Hall features classic Arabic architecture. Fengtian Altar is where Muslims come to pray. Mianshan Hall was built in 1567 in the Ming Dynasty. In Zhusheng Pavilion there are two very precious steles which contain vital information for those studying Quanzhou’s Islamic culture. - Hours: 8 a.m. - 5:30 p.m.